Treat your group to some time away from the boardroom during your visit to Bryan College Station. Team building strengthens communication skills, cultivates trust among colleagues and provides your group with lasting memories as well! Here’s a look at our picks for the top team building activities in Bryan College Station. 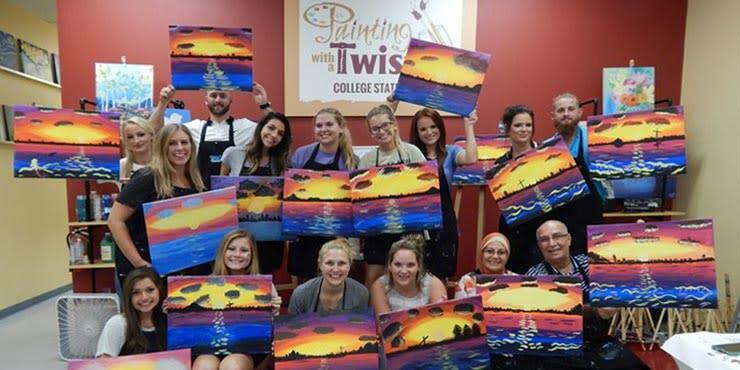 Paint, sip and get creative at Painting with a Twist, where attendees can create their own artwork and enjoy wine tasting. Spark collaboration between colleagues as they flex their creative muscles with instruction from an experienced, local artist. Held in a group setting, the class lets team members interact with one another outside the office and take home an artistic souvenir from their time in our area too. Experience the ultimate challenge with your group at one of the area’s escape rooms. Work together as a team to solve riddles and look for clues to escape the room before time runs out. Encouraging problem solving, communication skills and plenty of teamwork, Escape Room BCS also features meeting space for company outings and retreats. 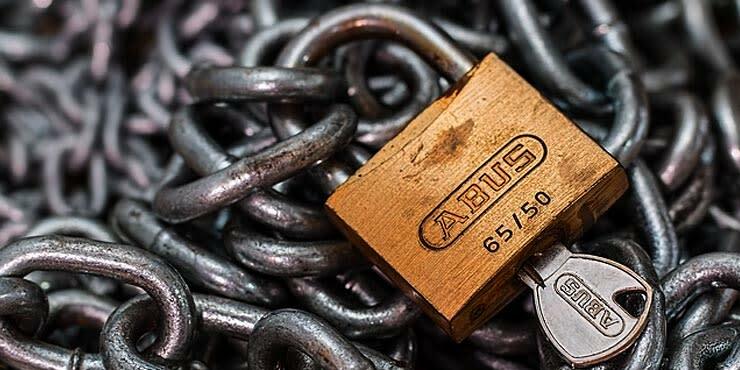 At Padlock Escape Games in College Station, choose from one of four rooms, or book all four rooms for your large group and rotate through each of them. Themed rooms include Masquerade, Secret Study and Kidnapped. Treat your group to a day outdoors at Lake Bryan, perfect for company picnics. With 125 acres to explore, the park features a beach area, hiking trails and picnic pavilions. 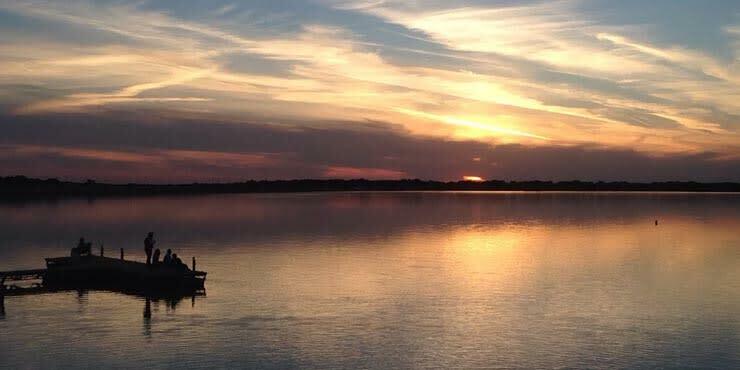 Go for a boat ride or host a friendly fishing tournament for your group along the banks of the lake. The onsite Lakeside Icehouse and Grill offers catering options for private parties and a 3,500-square foot patio and stage overlooking the lake. Get ready for plenty of laughs with THEY Improv, a group that specializes in bringing the fun to corporate team building events and workshops. From customized game shows to murder mystery dinner shows and improv comedy acts, this interactive group believes in getting the audience involved to bring employees together. As a way to encourage teamwork and break the ice between colleagues, THEY Improv boosts morale with plenty of fun and laughter involved too. Perfect your shot at the clay target shooting range and discover the rolling hills at Broken Arrow Ranch. Give your group the opportunity to experience life on the ranch during their time in Texas. At the 7D Ranch, guests can go horseback riding, learn roping skills and even participate in a real cattle drive among the ranch’s 1,600 acres. 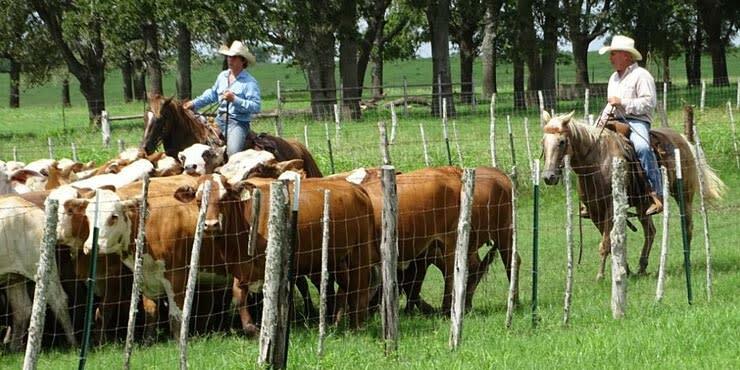 This working cattle ranch offers numerous cabins available for rent along with chuckwagon meals. To learn more about these authentic team building activities and all that the destination has to offer for your next group outing, reach out and chat with the Experience Bryan College Station team.